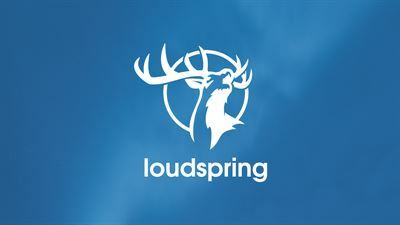 Based on the authorization granted by the Annual General Meeting of the Company on 21 April 2017, the Board of Directors of Loudspring Oyj (“Loudspring” or the “Company”) have on 15 December 2017 resolved on a directed share issue of approximately EUR 1.26 million (approximately SEK 12.5 million) to Alfred Berg Kapitalförvaltning (the “Share Issue”). In the Share Issue, 475 977 new class A shares (the “Offer Shares”) were subscribed. The subscription price in the Share Issue was set at EUR 2.64 (SEK 26,26) per Offer Share and amounts to a total of approximately EUR 1.26 million (approximately SEK 12.5 million) before commissions and expenses. The entire subscription price of the Offer Shares will be recorded in the Company's reserve for invested unrestricted equity. The price in the Share Issue has been decided based on contacts with selected institutional investors and the Company considers the price agreed upon with the investor to be on market terms. The reasons for the deviation from the shareholders’ pre-emptive rights was to raise capital in a time and cost-effective manner while broadening the institutional shareholder base. The Offer Shares represent approximately 2% of the outstanding shares and 0.4% of the votes in the Company after the Share Issue. Following the Share Issue, the number of issued and outstanding A-shares of the Company will be 19,233,186. The Offer Shares are expected to be registered in the Finnish Trade Register on or about 22 December 2017. Loudspring will apply for listing of the Offer Shares on Nasdaq First North Stockholm and Helsinki. Expected first day of trading in the Offer Shares is 22 December 2017. Pareto Securities is acting as Sole Manager and Bookrunner in connection with the Share Issue. This announcement is not an offer to sell or a solicitation of any offer to buy or subscribe for any securities issued by Loudspring Oyj (the "Company") in any jurisdiction where such offer or sale would be unlawful. In any EEA Member State that has implemented Directive 2003/71/EC as amended (together with any applicable implementing measures in any member State, the “Prospectus Directive”), the securities referred to in this release may only be offered in a member state (a) to any legal entity which is a qualified investor as defined in the Prospectus Directive; or (b) in any other circumstances falling within Article 3(2) of the Prospectus Directive. The information contained herein is not for publication or distribution, directly or indirectly, in or into the United States, Australia, Canada, Hong Kong, South Africa or Japan. This document does not constitute an offer to sell, or a solicitation of an offer to purchase, any securities in the United States. Any securities referred to herein have not been and will not be registered under the U.S. Securities Act of 1933, as amended (the “Securities Act”), and may not be offered or sold within the United States absent registration or an applicable exemption from, or in a transaction not subject to, the registration requirements of the Securities Act. There is no intention to register any securities referred to herein in the United States or to make a public offering of the securities in the United States. In the United Kingdom, this document and any other materials in relation to the securities described herein is only being distributed to, and is only directed at, and any investment or investment activity to which this document relates is available only to, and will be engaged in only with, “qualified investors” (as defined in section 86(7) of the Financial Services and Markets Act 2000) and who are (i) persons having professional experience in matters relating to investments who fall within the definition of “investment professionals” in Article 19(5) of the Financial Services and Markets Act 2000 (Financial Promotion) Order 2005 (the “Order”); or (ii) high net worth entities falling within Article 49(2)(a) to (d) of the Order (all such persons together being referred to as “relevant persons”). Persons who are not relevant persons should not take any action on the basis of this document and should not act or rely on it. This announcement does not identify or suggest, or purport to identify or suggest, the risks (direct or indirect) that may be associated with an investment in the new shares. Any investment decision to buy or subscribe for new shares in the share issue must be made solely on the basis of publicly available information, which has not been independently verified by Pareto Securities (the "Manager"). The Manager is acting for the Company in connection with the transaction and no one else and will not be responsible to anyone other than the Company for providing the protections afforded to its clients nor for giving advice in relation to the transaction or any other matter referred to herein. The information in this announcement may not be forwarded or distributed to any other person and may not be reproduced in any manner whatsoever. Any forwarding, distribution, reproduction or disclosure of this information in whole or in part is unauthorised. Failure to comply with this directive may result in a violation of the Securities Act or the applicable laws of other jurisdictions. This announcement does not constitute an invitation to underwrite, subscribe for or otherwise acquire or dispose of any securities in any jurisdiction. This announcement does not constitute a recommendation concerning any investor’s option with respect to the share issue. Each investor or prospective investor should conduct his, her or its own investigation, analysis and evaluation of the business and data described in this announcement and publicly available information. The price and value of securities can go down as well as up. Past performance is not a guide to future performance. Neither the content of the Company's website nor any website accessible by hyperlinks on the Company's website is incorporated in, or forms part of, this announcement. This announcement is made on the basis of and contain inside information pursuant to Article 7 of the EU Market Abuse Regulation relating to Loudspring Oyj. The information was submitted for publication, through the agency of the contact person set out above, at 12:00 EET on 15 December 2017.